As the month draws to a close and the weather is getting slightly milder, most of my training is now back in the gym! However, on Sunday Brandon and I went for a walk, purely to get out in the fresh air and spend some time together. 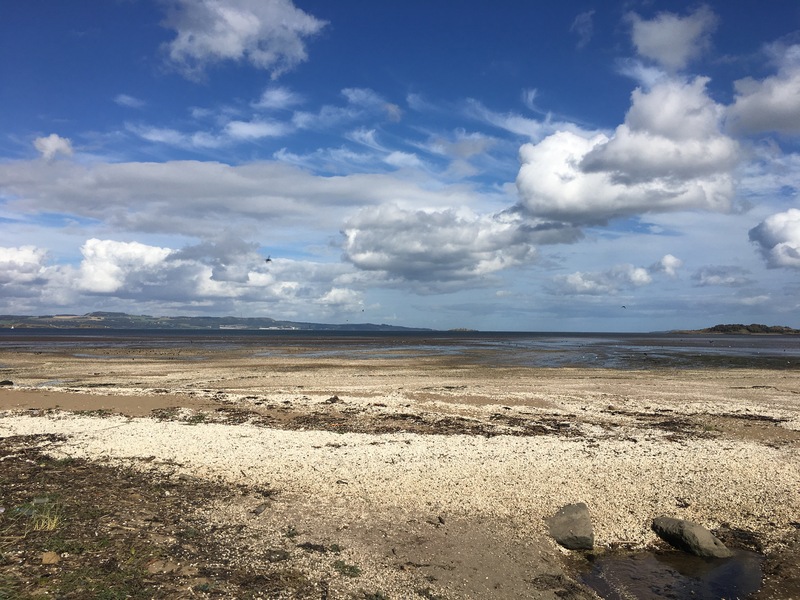 We went down to Dalmeny Estate – which google suggested was a scenic, coastal walk and after about half a mile, much to my delight, it turned into a 6 mile trail run! As google predicted, the views were pretty beautiful. We ended up going through the forest trails, along the beach, across a golf course, etc and I genuinly had so much fun! It was cool to get out with Brandon and do something I love at the same time. 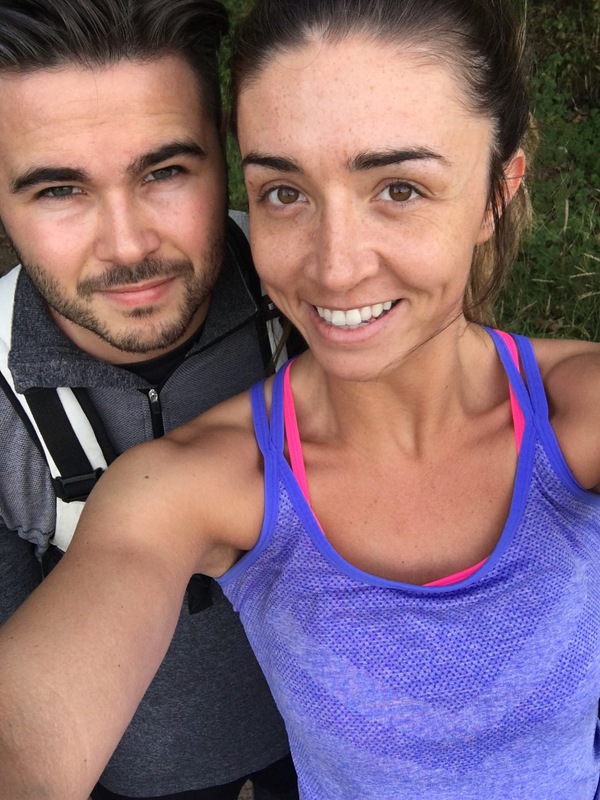 It’s not often I can convince him to accompany me on one of my runs, especially not the longer ones! I found that having an active day at the weekend, really set me up for the week ahead. I felt well-rested and the physical exertion almost gave me more energy. After a nap on Sunday evening, I was more than ready for a full week of workouts. Monday got off to a great start with my usual Body Pump class after work. I credit this class for most of the definition in my muscles. It’s a full body work out I swear by. I’m starting to challenge myself with heavier weights and my body is responding well to the increase. I’m aiming to try and do 2 of these classes a week – which is always a tough one given how sore I am afterwards. On Tuesday, I discovered that if you watch TV whilst on the treadmill, the miles seem to pass by without you realising. Come Dine With Me and Home and Away were the perfect accompaniment to a relatively slow 6 miles. It was tougher getting back on the treadmill after such a refreshing outdoor run at the weekend. I clocked another 6 miles on Wednesday in a determined attempt to continue increasing my mileage week on week. It was pretty hard on my weaker knee so I’ll most likely be factoring in a rest day very soon. I’ve been logging my progress in my Believe Training Journal for a couple of months now, keeping track of my miles, my goals and just generally where I’m at in my training. I highly recommend this book to every runner out there! It’s been the perfect method for me to stay accountable in my training. I took a long-awaited rest day on Thursday. I’d gotten so into my workouts that mentally, I didn’t want to take a rest day but physically my body needed it. On Friday, I managed to squeeze in a quick 30 minute spin class before rushing home to get ready to go out and meet my friend for dinner. 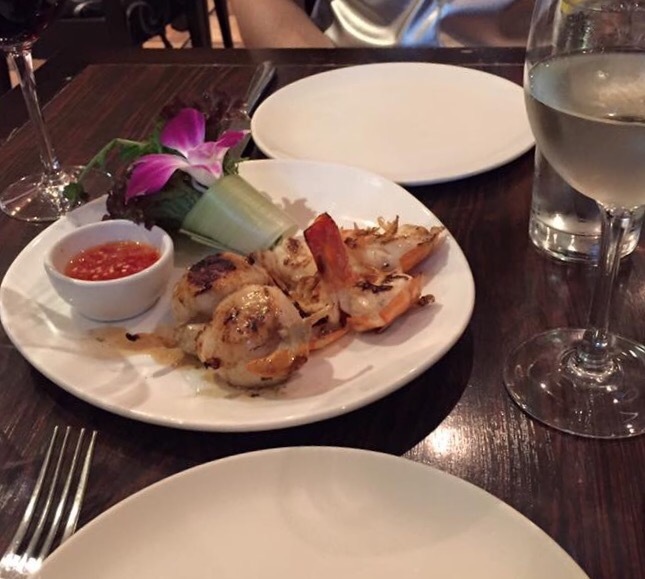 We went to a gorgeous Thai restaurant, Dusit, in Edinburgh’s city centre. It was my first time there and I absolutely loved my meal. It was also nice to forget about tracking everything on My Fitness Pal for the evening – I didn’t even bother trying to guess it. Unfortunately, dinner was accompanied by wine and then more drinks to follow, which meant that my Saturday was a write off. It has really put me off drinking and I feel like I’ve gained a true perspective in to what makes me happy. Yes, I have fun and I have a good time when I drink but does that even come close to the feeling I get when I complete a long run, or log a new fastest time? No, not even close! It’s given me a lot to think about with regards to my lifestyle and social life! Anyways, enough from me! Hope you’ve all had a great week.